Article dated 6th October 1926. Tilbury Dockers’ Strike. 2,000 MEN AFFECTED. 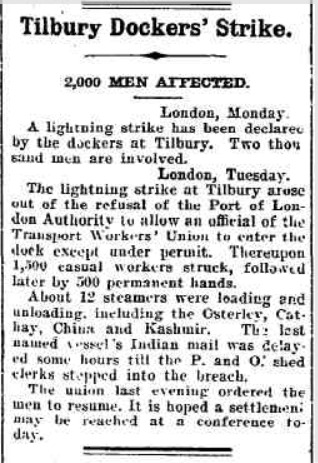 London, Monday, A lightning strike has been declared by the dockers at Tilbury. Two thousand men are involved. London, Tuesday. 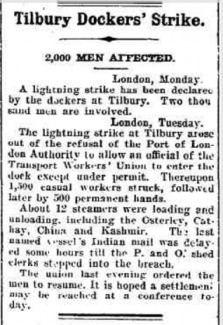 The lightning strike at Tilbury arose out of the refusal of the Port of London Authority to allow an official of the Transport Workers’ Union to enter the dock except under permit. Thereupon 1,500 casual workers struck, followed later by 500 permanent hands. About 12 steamers were loading and unloading, including the Osterley, Cathay, China, and Kashmir. The last named vessel’s Indian mail was delayed some hours till the P. and O.’ shed clerks stepped into the breach. The union last evening ordered the men to resume. It is hoped a settlement may be reached at a conference today. The style of clothing would certainly fit in with 1926. 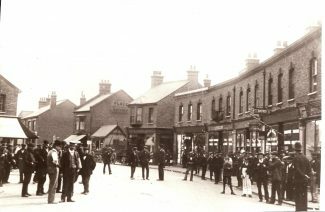 The General Strike lasted 9 days from 4th – 13th May 1926. 1.7 million worker’s went out including the dockers. I have also discovered a newspaper article showing that there was also a 2 day strike starting 4th October 1926 (copy of newspaper article shown above). Remember the Battle of Jumbo Bridge ! Growing up as a young lad in Tilbury towards the end of WW11 and into the 1950s and 1960s there are many “instances” and anecdotes that linger on in my memory, even though I moved away nearly 50 years go. From time to time my memory is jogged, particularly by items that appear on this website. Such is the case with this picture. If indeed it is relative to a strike it could well be a the Great Strike of 1926. 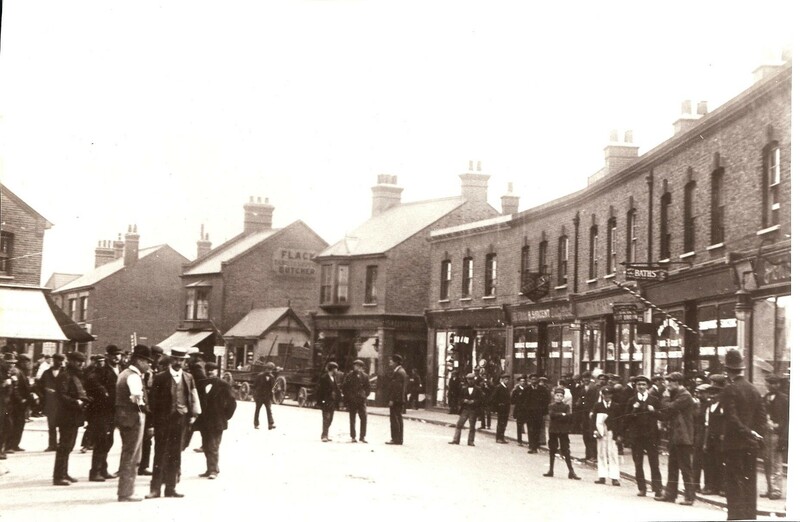 Tilbury dockers were involved in striking and had a few altercations with the police, non-strikers and the militia (I think that the Government used military forces in some places to “control” the strikers). According to tales told, in my hearing, amongst the older Dockie fraternity, there was one particular confrontation with the striking Tilbury Dockers which took place at a footbridge, into the north end of the Docks, near where Tilbury North Signal box stood, known locally as Jumbo Bridge. Often when there was political sensitivity during discussion the repost would be “Remember the Battle of Jumbo Bridge!”. Can anyone add to this story, or better still verify it.